Welcome to Atlanta, Georgia. During the Civil War, Atlanta was one of the most important Southern Cities as it provided munitions to the South. In 1864, General Sherman marched into Atlanta and burned the entire city. The city recovered from its losses and today is one of the most dynamic in the South, boasting a successful cultural and business hub. Transfer independently to your hotel where you will meet your ATI Tour Director. This morning, enjoy a city tour of Atlanta and learn about one of its most famous residents, Margaret Mitchell. In 1936, Mitchell published the book "Gone with the Wind." It depicted the life of the daughter of a plantation owner and follows her life through the Civil War and Reconstruction. The story takes place in Atlanta and south of Atlanta in a small town named Jonesboro. This morning, you will visit the Road to Tara Museum and Stately Oaks Plantation which was the inspiration for Tara. You will have the opportunity to see memorabilia from the movie including costumes worn by the stars Clark Gable and Vivien Leigh. In the evening, enjoy a welcome reception which will give you the opportunity to meet your fellow travelers. Leave Atlanta today and head west to Augusta. Aususta is the second oldest city in Georgia and is home to the prestigious Masters golf tournament. You will have time to stroll down the cobblestone walkways and admire the fine architecture. In the evening, you may want to enjoy a romantic carriage ride or a sunset cruise. (optional). 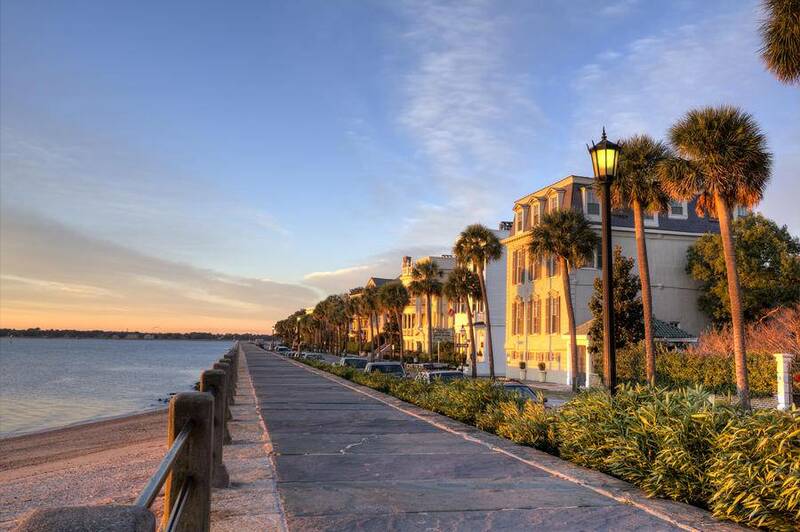 Enjoy a locally guided tour of Charleston and spend the afternoon at leisure. 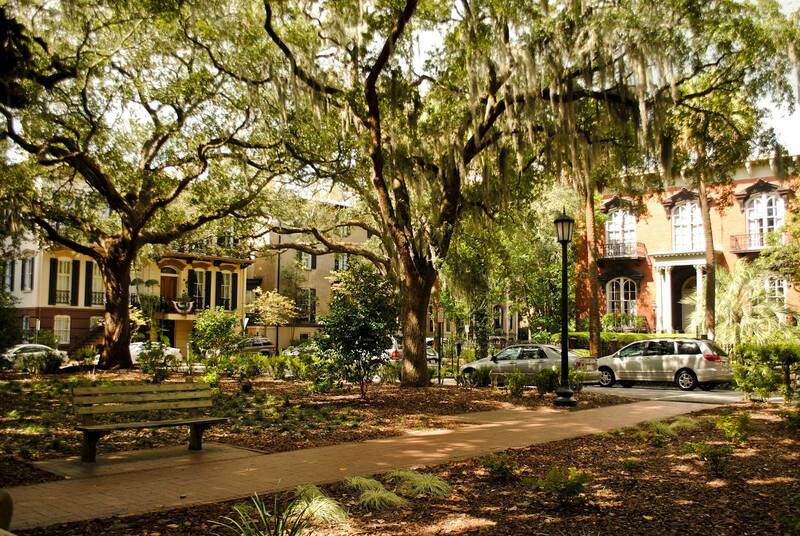 Walk the streets of Charleston's preserved historic district, the best protected in the nation. Natural disasters, the Revolutionary War, and the Civil War all took their toll on this beautiful city, yet it stands out as a historic gem of the South. You may wish to participate in an optional excursion to historic Boone Hall Plantation with its famous Avenue of Oaks. The property has appeared in numerous movies, among them "North and South". Today, your road leads you further south to Savannah. En route stop on Port Royal Island and see Beaufort, South Carolina's second oldest city. Its impressive Antebellum architecture has been the backdrop to a number of Hollywood movies, including "Forrest Gump". After lunch continue on to Savannah, once the world's largest cotton port. When cotton was king, Savannah controlled the prices of the world cotton market at her cotton exchange. Founder James Oglethorpe laid out the city squares. The Civil War destroyed a large portion of Georgia, but Savannah was spared. Numerous buildings around the tree-shaded squares are hundreds of years old. Many of them are very well preserved and some remain open to the public. You will enjoy a historical guided tour (included) to learn more about the fascinating history of the Antebellum residences. The old cotton warehouses that line the river are now converted into shops and little restaurants, frequented by locals and tourist alike. Leave Savannah with its Antebellum homes and head on, driving south along the coast of Georgia. The cities you will pass are as rich with history as they are full of charm. In the afternoon you will enter the Sunshine State of Florida. Enjoy a stop in the charming city of St. Augustine, founded in 1565 by Spanish explorers. It is the oldest continuously occupied European established city and port within the continental U.S. In the evening arrive in Florida's state Capital, Tallahassee. Tallahassee is one of the nations smaller and quieter capitals with oak lined streets and soft hills surrounding the city. 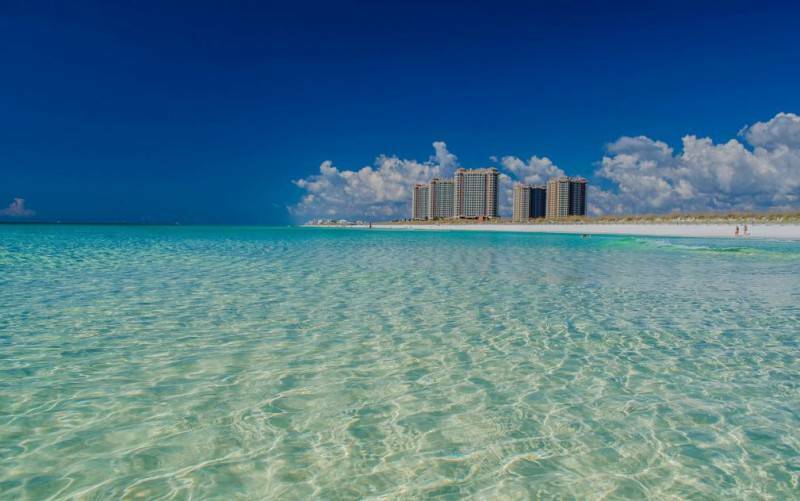 Continue on to Pensacola, one of Florida's most important vacation destinations. Pensacola was founded in 1599 by Spanish colonists who created here the first European settlement. Today, the area is known for its miles of Gulf shoreline, many of which are preserved as state and federal parks. 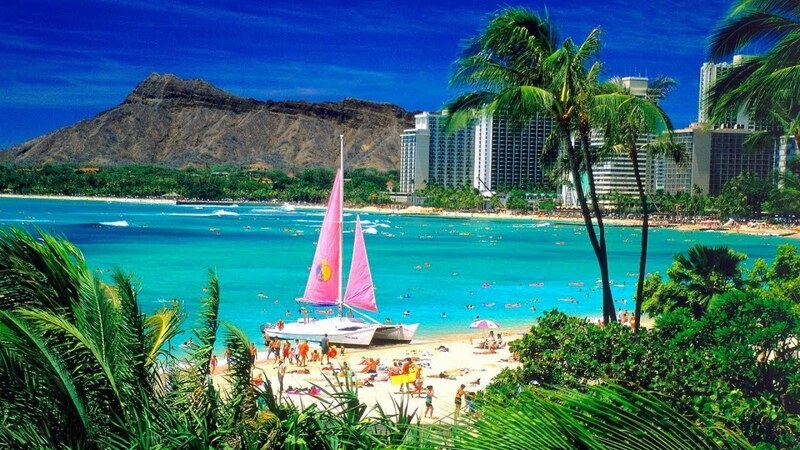 Tourists come to enjoy the white sand beaches and to participate in activities such as scuba diving and fishing. Next stop is Mobile, Alabama. Founded in 1702, Mobile rapidly became one of the most important ports along the Gulf Coast. 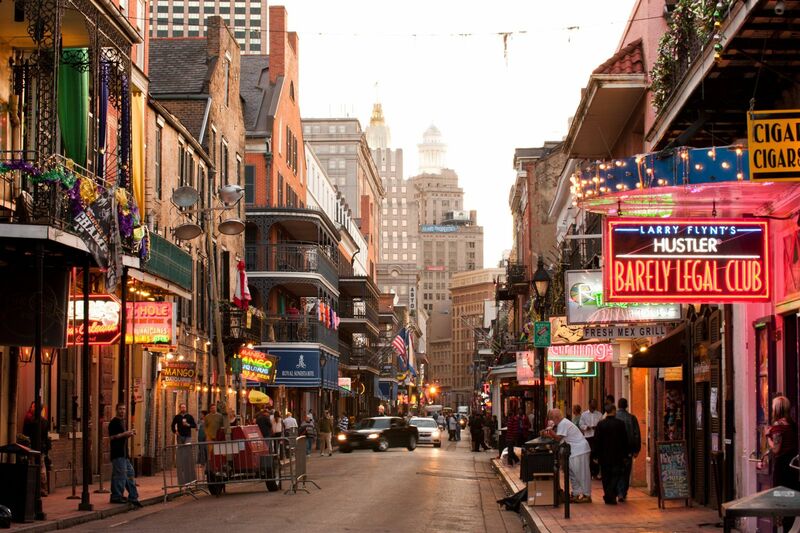 In the evening arrive in New Orleans, Louisiana's most prominent port city. People from all over the world have been arriving in New Orleans since the Sieur de Bienville laid out the city's streets in 1718. The city today is a unique blend of Spanish, French, Caribbean, African and Anglo-Saxon influences. This is obvious in the food, the architecture, and, of course, the music. The day is yours to immerse yourself in the charm and excitement of one of America's most unique cities. Your ATI Tour Director will assist you with planning the day's activities. Perhaps start the day with an early morning optional taking you to a famous Louisiana Plantation, followed by a Jazz Brunch in the Quarter. Enjoy window shopping along Royal Street's art galleries, or while away the day lazily sipping coffee in the cafe Du Monde. Take a stroll along the Mississippi River or ride the St. Charles street car through the Garden District, an area known for its magnificent architecture. Your ATI Tour Director will be available to assist you in arranging individual transfers to New Orleans International Airport. We hope you have had a memorable journey on our Southern Belle tour! - Visit Jonesboro, the official Gone with the Wind town. Tour both the “Road to Tara” museum and Stately Oaks Plantation, the inspiration for the film. - Shuttle: SuperShuttle is available to transport passengers from the airport to their hotel. One-way seat-in fare per person is approximately USD $20. For instructions on how to get to SuperShuttle after you land, please call 1+ (800) 258-3826 or visit www.supershuttle.com. - Taxi: Independent taxi service is available to transport passengers from the airport to their hotel. Approximate fare should not exceed USD $35 - $40, plus any toll charges that may apply. Passengers should secure rate before hiring. - Day 1 (Saturday): Upon arrival, passengers should check-in at the front desk of the Holiday Inn Express Downtown and identify themselves as participants of ATI’s Gone With The Wind/The Southern Belle Motorcoach Tour. Passengers arriving between the hours of 2:00 pm and 8:00 pm should then proceed to ATI’s Hospitality Desk and check in with ATI’s Tour Director. - Day 2 (Sunday): ATI’s Atlanta City Tour departs at 8:30 am. Passengers should meet ATI’s Tour Director in the lobby of the Holiday Inn Express Downtown at 8:15 am. 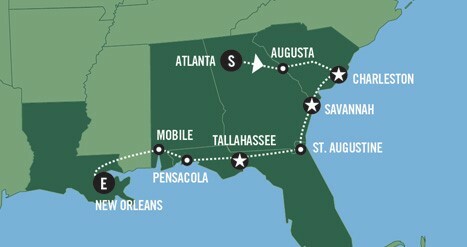 - Day 3 (Monday): ATI’s The Southern Belle Motorcoach Tour departs for Charleston at 8:00 am. Passengers should meet ATI’s Tour Director in the lobby of the Holiday Inn Express Downtown with their luggage at 7:30 am.